EXFO’s advanced OTDR technology is also offered in versatile PC cards. 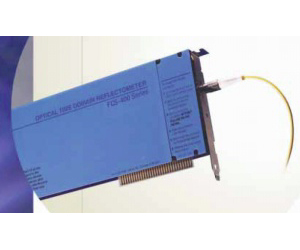 The flexible and modular FCS Series cards are designed to operate in PCs with off-the-shelf or customized fiber-optic test applications. With the FCS-400, you can create an entire test system for remote fiber testing, process automation, and other applications by configuring multiple OTDR cards with other PC-based test cards. Comprehensive software and drivers are supplied to help you analyze and characterize test results quickly and efficiently with minimal training.